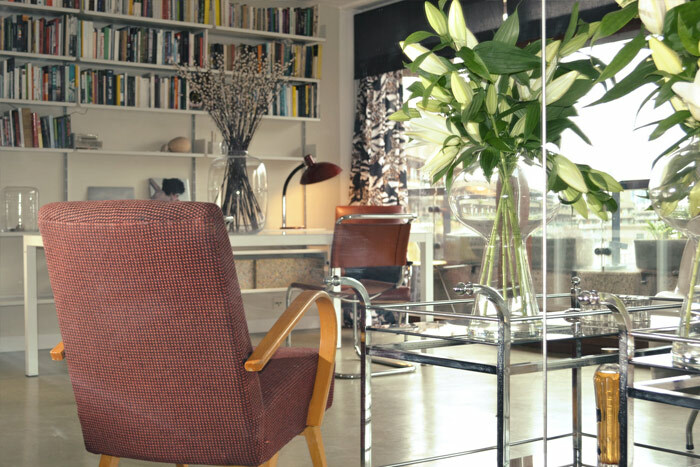 We have considerable experience in sourcing Mid-Century pieces and designing spaces around them. On a broad scale of projects, from commercial to residential, we can create inspiring spaces with specific needs in mind. Do contact us with your brief. Refurbishment of a compact and bijou apartment in the John Trundle Tower, a grade 11 listed building as part of this 1970’s London landmark. 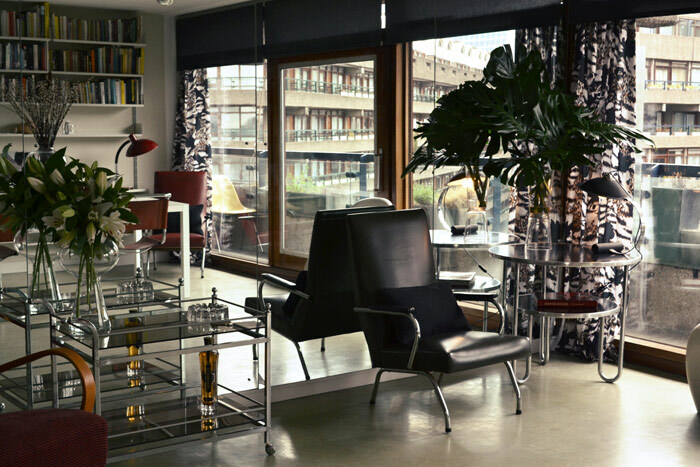 The space had fantastic views and had the inherent ‘Barbican’ style with original fixtures and fitting but was bland in terms of palette and in need of some sharper pieces. A 1940’s original Bauhaus table, some 1970’s tubular chrome, a 1950’s pair of Czech designer Halabala claret chairs added some interesting shape and colour. Original 1970’s tropical print curtains tied in the colours of the flat; charcoal, claret, tan. 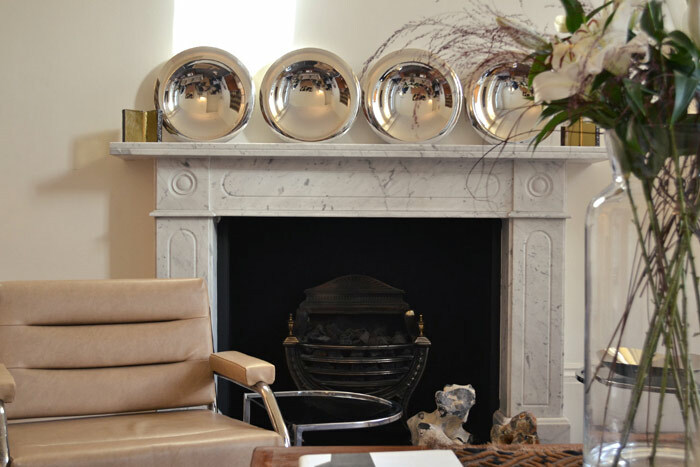 Interior upgrade of an apartment in a grade 1 listed building in this elegant, leafy square in central London. 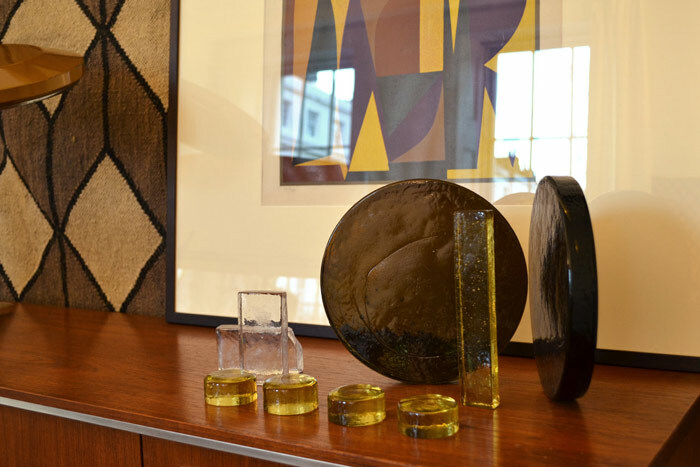 Pieces from the owners collection were combined with some choice mid-century finds including an original Vaseraely abstract print, 1960’s Murano glass lamp and an early Eero Saarinen dining set. Installation of two large floor to ceiling cupboards created much needed storage as well as display shelves for the owners collection of period and contemporary glass and sculpture. Shapely pairs of Guzzini lamps and a large Borge Seindal Rosewood 1960’s sideboard adds angular style.